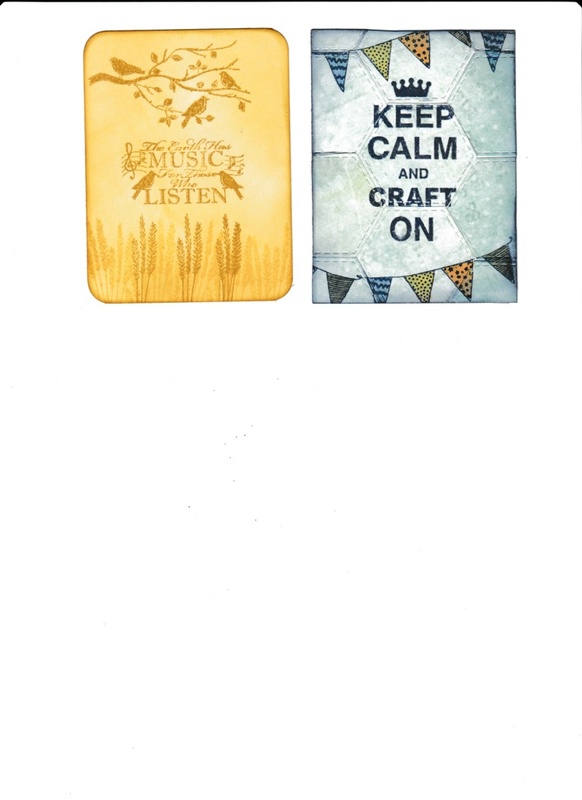 Here are Cath's two ATCs: I love how they're so different from one another. Thanks again, Cath, they're lovely. They are fab, I think I have that keep calm stamp, I really should use it, fab inspiration. Ooooh, liking those very much. Great cards love the gold colour one. Great ATC's Cath, as said different but great in there own way. Very nice I like the blue one not really a yellow fan. Funny that, Cynthia, I'm not usually keen on yellow either, but this is just a really warm, sunny card and my favourite of the two, if I had to pick one.